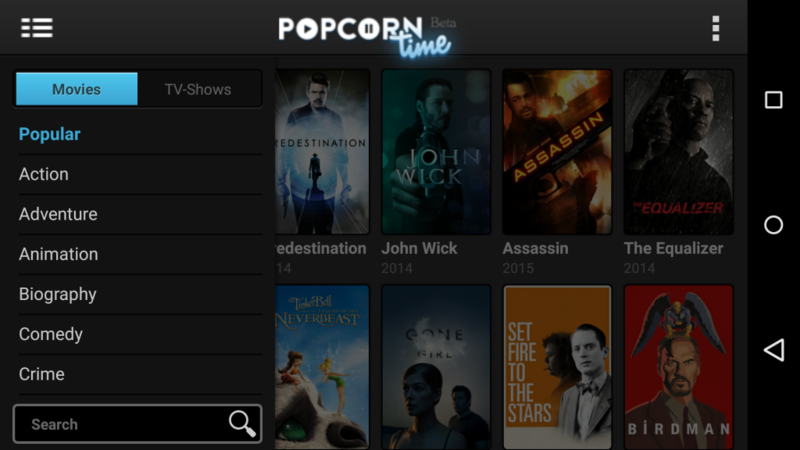 Given its nature, Popcorn Time is a Google Play external app and may not comply with minimum Google suggested quality. 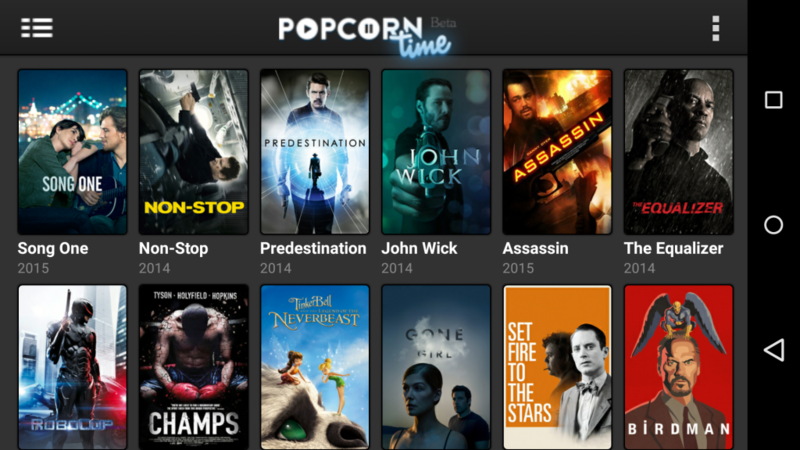 Install Popcorn Time in your device is your choice and responsibility. Check your country law to know if Popcorn Time use is legal in your zone. 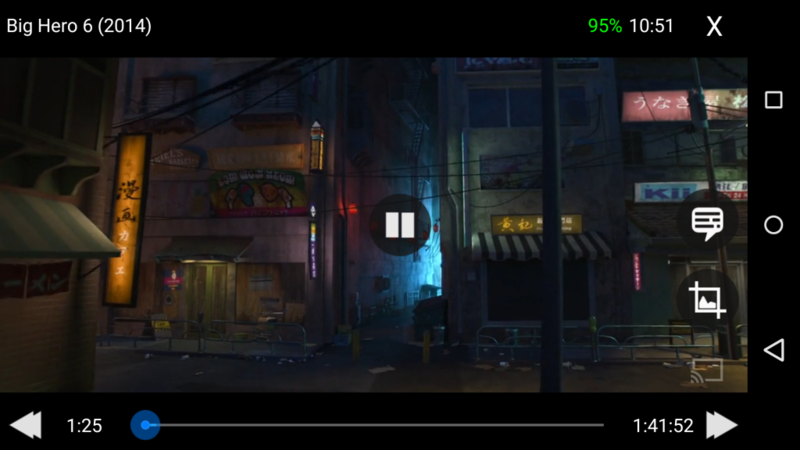 Popcorn Time is a multi-platform, open source BitTorrent client that includes an integrated media player. The program is a free alternative to subscription-based video streaming services such as Netflix. It’s totally free and the Android version is compatible with our Chromecast. To install Popcorn Time you’ll need Enable “Unknown Sources” on Android. To enable Unknown Sources go to Settings > Security and check the box next to “Unknown Sources”. 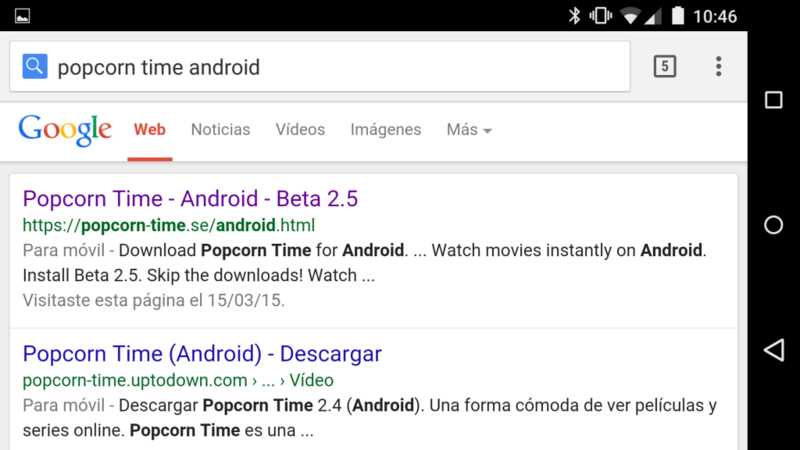 Open a Internet Browser (like Chrome) in your Android and search in Google “popcorn time android”. 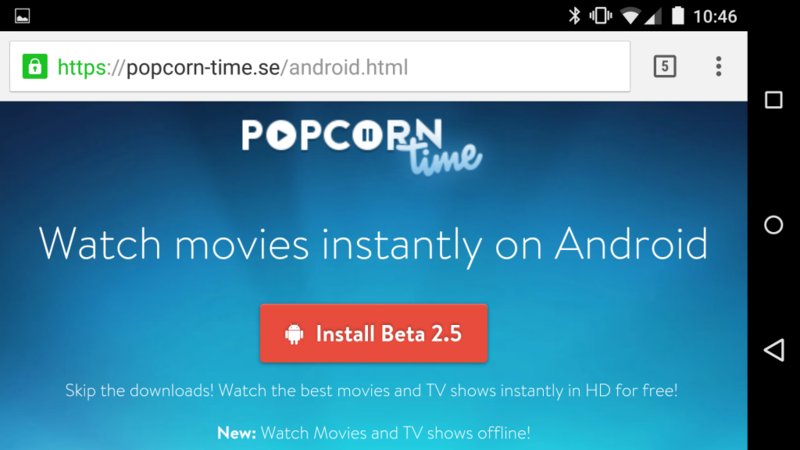 Click the first result (Should be the official popcorn page) and click the “Install” button. Now navigate to the directory where you have copied or downloaded your APK file. 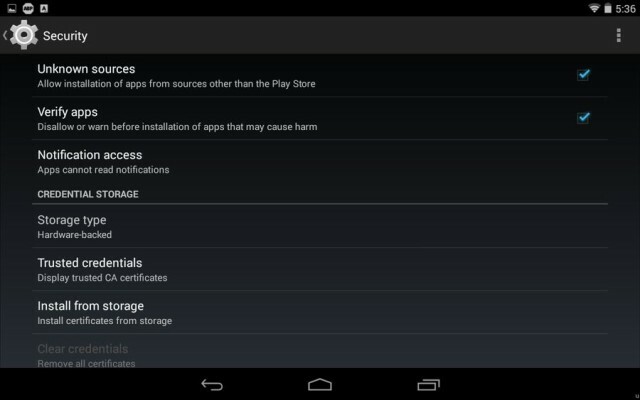 Mostly, it’s stored in the “Downloads” folder on your Android device. Once in the directory, tap the APK icon and an installation dialogue box will pop-up. 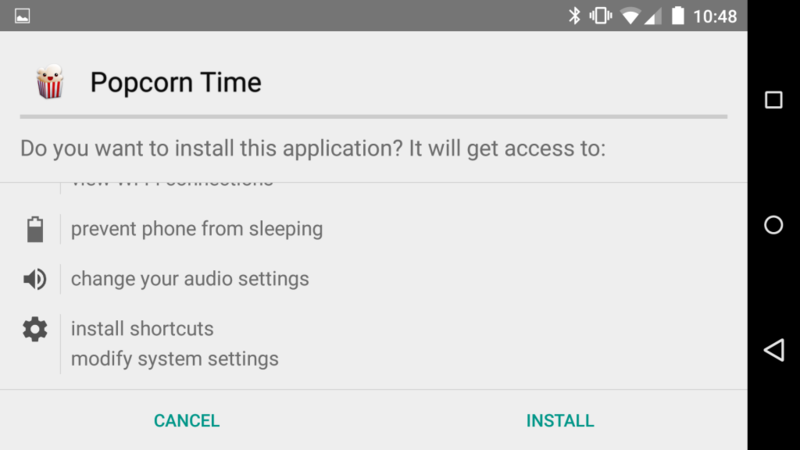 Hit the install button to install the APK on your Android. That is all since now you’ll be able to enjoy all the films and series as you want totally free. Choose your preferred movie and broadcast it to your tv with only touching the Chromecast send icon. Don’t forget to check your wifi connection before start using Popcorn Time. It spends a lot of data.